Catholic Voices Malta associates itself unequivocally with the 36 organisations that joined forces to condemn femicides. 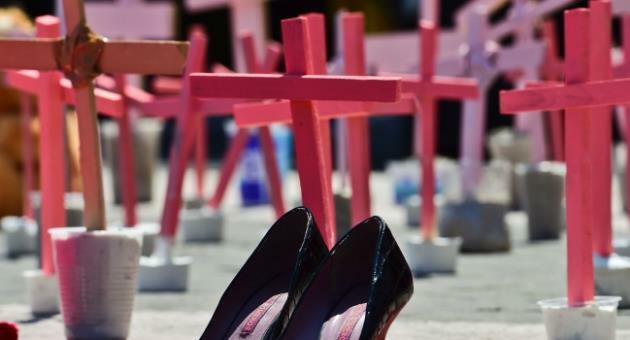 We are saddened to see that yet another woman has been killed in her home within weeks of the previous murder, making this the fourth femicide this year in Malta. Since 2000, for every 4 femicides in Malta, 3 have been murdered by partners/husbands, ex-partners/ex-husbands or a close family member. Despite the implementation of the Istanbul Convention in our laws, we are angered by the fact that women’s lives are still being taken away by those that claim to love them because the very authorities that are meant to protect them are not ensuring their safety and protection. Living free from violence is a fundamental human right and it is the State’s responsibility to see that this human right is upheld. It is a tired and worn out assumption that femicide happen because victims do not seek help. Countless victims try to access protection and justice services with no success and it has become an unacceptable state of affairs to have women that are on daily basis being forced to live in violent situation in their homes. 6. Police officials have the necessary tools, such as body cams, to gather additional evidence during house calls. 7. A clear political commitment, an adequate budget, a well-resourced unit whose members focus and work exclusively on the issues of violence, and clear targets with strict timelines that are monitored. In the current situation, the next femicide is just waiting to happen. How many more women need to die before violence against women is truly taken seriously? St Jeanne Antide Foundation, aditus foundation, Platform of Human Rights Organisations in Malta (PHROM), Women’s Rights Foundation, Merħba Bik, Department Gender Studies (Faculty of Social Wellbeing, University of Malta), The Critical Institute, SOS Malta, Allied Rainbow Communities (arc), Richmond Foundation, YMCA, African Media Association Malta, Association for Equality (A4E),Malta Confederation of Women’s Organisations (MCWO), KummissjoniEjjew Għandi, Dean’s Office (Faculty of Social Wellbeing, University of Malta), Men Against Violence, Attard Ladies Cultural Club (ALCC), Malta Association of Women in Business (MAWB), MGRM, We Are,Group of Independent MCWO Members (GIMM), Women’s Study Group (WSG), Malta Union of Midwives and Nurses (MUMN), JRS, Drachma LGBTI, Drachma Parents’ Group, Integra Foundation, SPARK, Department for inclusion and Access to Learning (Faculty of Education, University of Malta), Solidarity with Migrants Group, OASI Foundation, Social Assistance Secretariat of Malta Catholic Action, Victim Support Malta, Dar tal-Providenza, Paolo Freire Institute. Previous PostPrevious Are all Catholics, Roman Catholic?